Because I list a feature here doesn't mean it will get done, its just to list ideas for future updates. Feel free to discuss features listed here, or suggest your own. Ill add it to the list. -BarbWire: A slightly weaker wall then normal walls, but when biters bite it they take damage. -TeslaGun: A portable version of the Tesla tower that the player can use. -SpaceBEES!!! AHHH: New Enemy spawner that has grows a swarm of space bees. The bees themselves would sting(Explode on impact) your buildings. -Artillery: Long Range cannons for taking out biters long before they see your walls. 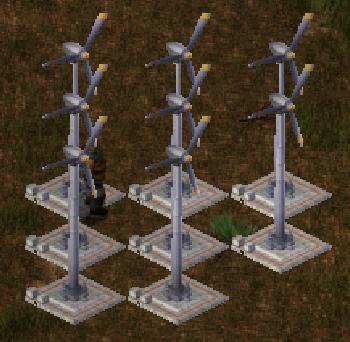 -Shield Generator: Protects nearby buildings from damage while it maintains energy. -Rocket Turret: Fires the same rockets your rocket launcher fires. -MiniTrains: Need more train mod support first. -Planes: Need more vehicle mod support, per entity collision_mask and speed detection on cars please! I haven't tried MoCombat yet, but it looks like it'll be a good mod for adding more weapons and defenses without necessarily making the game more difficult. But I noticed that you're leaving out(?) a turret, a flame turret. I don't see it listed but a turret that uses flamethrower ammo would seem pretty useful. The full MoPack zipfile raises errors when putting it in the mods folder causing Factorio to crash. Solution: Put all mods zip files into one big zip and distribute it instead. Both second and third pictures demonstrates maximum possible density of turbines placing, the free space between turbines is no more than visual effect because of the orientation of the turbine base. Not if that looks bad, in my opinion. Feel free to update your pack, if you want to. For some reason, if I give the sprites default names, the program trims upper part of new animation, probably due some script quirks. Yes, this is the best thing I've ever seen. 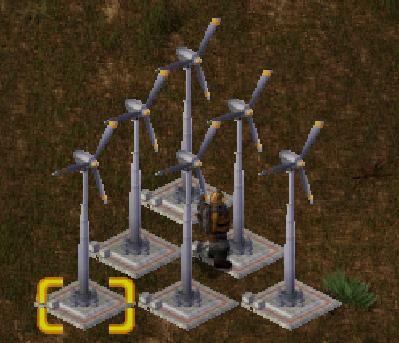 The default wind turbines have always bugged me and it would be great to finally have proper looking visuals. Ludsoe, please adopt this posthaste.